HelloMiners Forum ‹ The Economy ‹ Jobs ‹ Jobs Available ‹ [for EMPLOYERS] what jobs does your company offer? i made this topic to help new players find jobs. Employers may still make their own posts offering work. if u want to apply contact the person offering the job send them mail on the forums or ingame.. dont reply to this post, lets try and keep it strictly for employers to advertise what they are offering. Re: [for EMPLOYERS] what jobs does your company offer? What jobs do u offer players? What do i get for doing the job? Last edited by thesterninator on Tue May 05, 2015 6:57 am, edited 1 time in total. Freshblood wrote: What jobs do u offer players? i pay 15f per stack, to get paid take wool to my rc warp shop and sell it there please. easiest way to get there is , warp c, head north (40 blocks)to the sfc market, enter portal, follow the wool line rail, up ladder, in portal, uve arrived at the wool farm and u can buy shears there. anyone else want to reply? F8 per stacks of wood sold. How do i get to the job? or which is the best route? 2) You should see a building that says 'CHS' go into it and enter the portal. 4) Go into that tunnel and follow it until you see the signs 'OreStore Factory' follow that tunnel and enter the portal. 5) Chop down the trees, turn it into wood, then sell it to me for F8/stack. 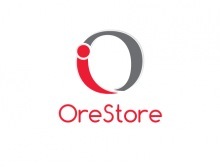 Visit the OreStore topic! - Restocking all of our stores this month! New locations coming to you this spring/summer! Stay tuned. What jobs do you offer? What do I get for doing the jobs? 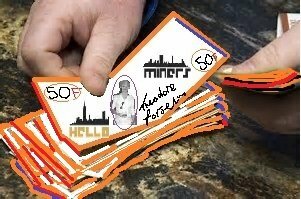 You get forsals. Each range depending on how much of tree chopping, wool shearing, & harvesting. How do I get to the job? You can access the Orubo Job Facility using the portal provided on the main floor of Orubo RC. From there the provided safe otransportation tunnels take you there in a matter of minutes. On your arrival, you can sleep in the bed (night-time only) to get back fast using /suicide without having to go through the portals again. 3. Close door behind you to prevent sheep from escaping! You can work there whenever you want. If you have any questions of concerns you can contact me (Owner) or Bright_Scales (Manager of Orubo Production). “This adventure is made possible by generations of searchers strictly adherent to a simple set of rules. Test ideas by experiments and observations. Build on those ideas that pass the test. Reject the ones that fail. Follow the evidence wherever it leads, and question everything. Accept these terms, and the cosmos is yours"